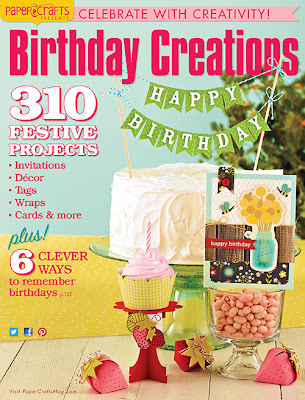 Just popping in to share a card I have in this great special issue from Paper Crafts Magazine (US) - Birthday Creations Vol.3. 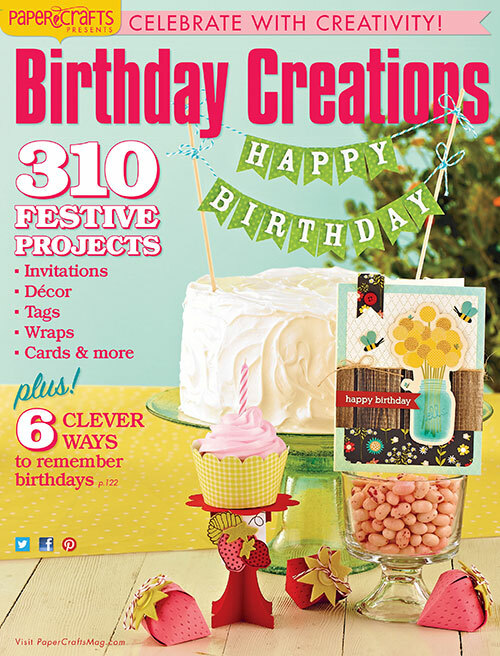 It's jam packed full of stunning designs! 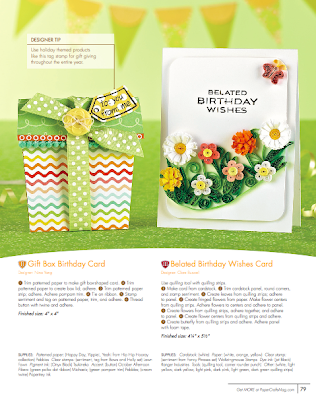 My card is on page 79, mine is the quilled card on the right, I'm sharing a page with the talented Nina Yang! 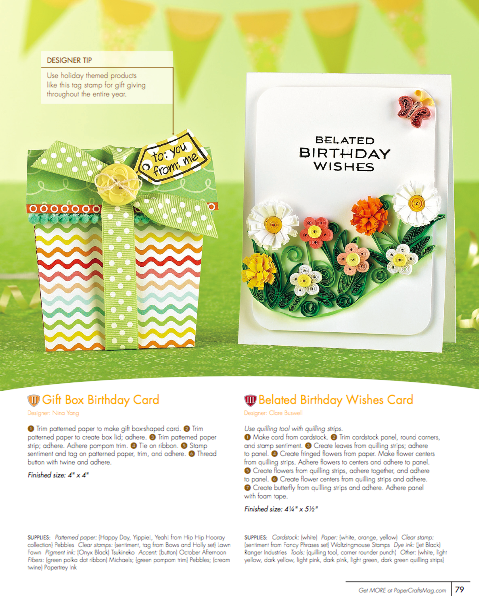 Here's a pic of my card before I sent it off. 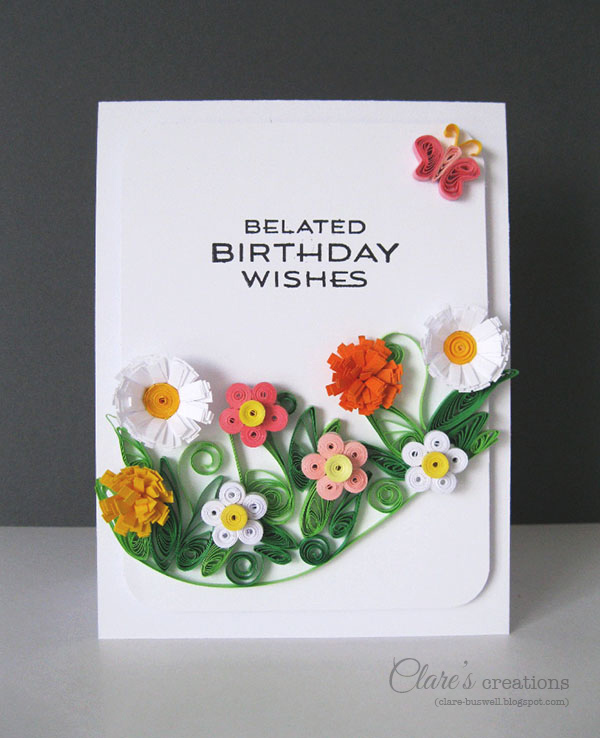 The quilled elements weren't too tricky to make, they just took a while and the hardest part was arranging them on the card! I love the fresh feel to it though! This is amazing Clare. Your quilling is totally awesome.